Coping with Ichthyosis: 28112014: No more dermal therapy? 28112014: No more dermal therapy? It was a terrible mistake that I ordered only when my first bottle was finishing. This time it took 2 months!! And for 2 months I had to use my St.Ives, which was quite torturous. I was back to using long pants and long sleeves, I really avoided shorts, skirts and dresses. It is important to understand that there is no cure for Ichthyosis, there are only relieve methods and ways to reduce the side effects. So when I stopped using the lotion, my skin was back to its dry-state. 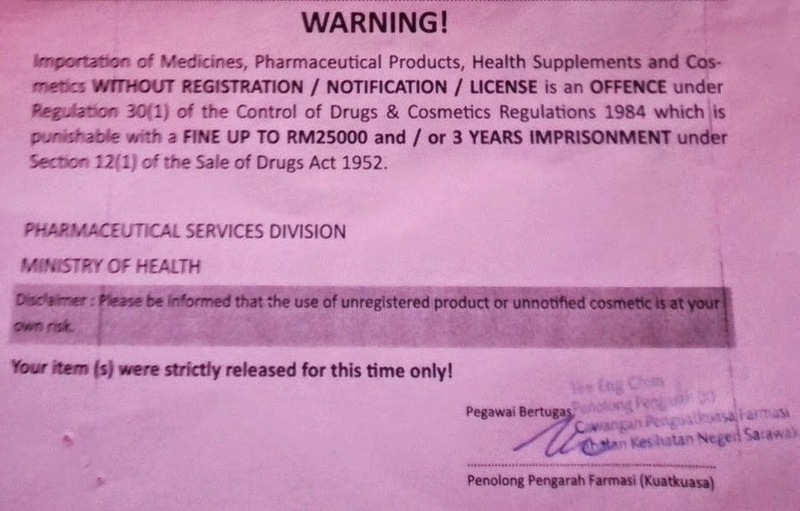 I understand that there are many unregistered cosmetics being brought into Malaysia but continued to being widely used in Malaysia. This lotion is probably the only thing which really work for many of us suffering from Ichthyosis Vulgaris. Since the lotion is created specifically to treat Ichthyosis, I have not feel any side effects from it. I, however, have never requested for my family or friends without Ichthyosis to try the lotion so I am unsure how will it effect people without Ichthyosis.